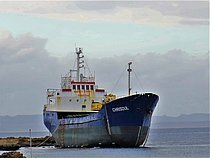 Stranded December 22nd, 2016 close to Famagusta. 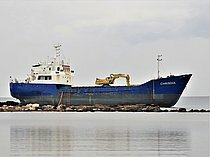 Visible on Google Earth in position 35°07'25"N & 033°57'21"E.
Removal operations at general cargo ship Chrisdul (IMO 8935794) were to be resumed at the end of April 2018. Demolition work had been halted for the winter season. 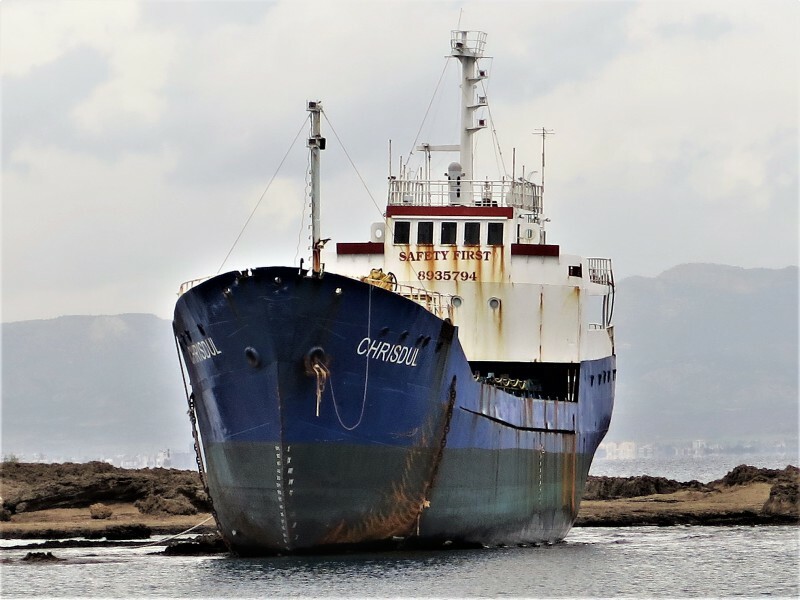 The vessel dragged anchor and grounded at Famagusta Anchorage during bad weather on December 22nd 2016, causing structural damage to the side shell and bottom, with ensuing water ingress. 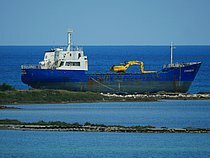 1977-built, Tanzania-flagged, 438 gt Chrisdul is owned and managed by Neva Marine Co SA of Belize.